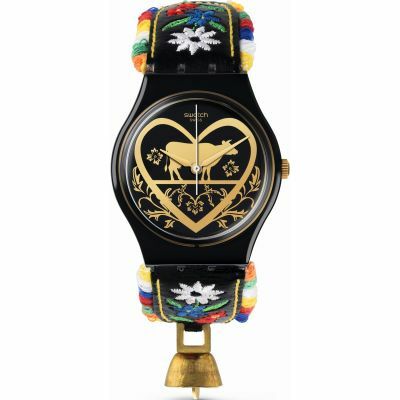 Fabulous - I just love this watch. 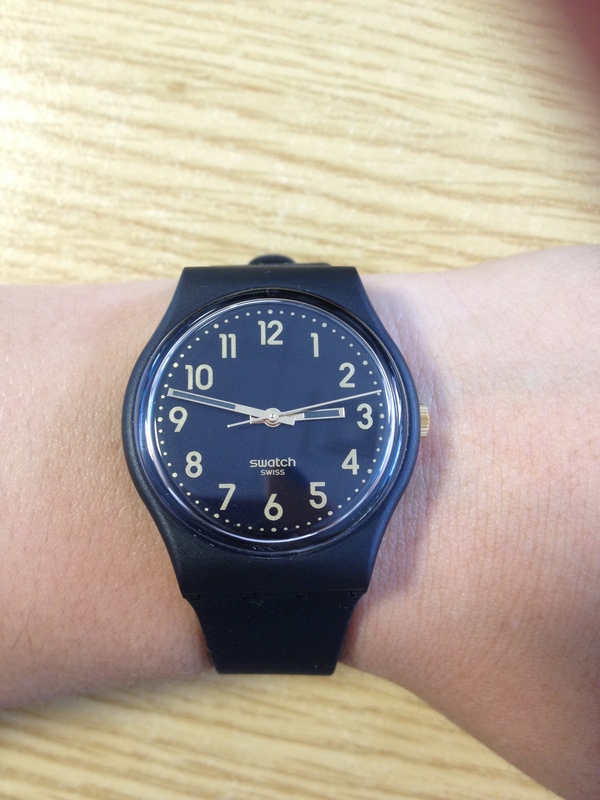 It is very sleek and yet user friendly - even my 60 year old eyes can read the time! The numerals are very traditional but in my opinion this adds to the charm. Watch just what I wanted. Looks stylish and great to wear for all occasions. Prompt delivery as always. Watch looks lovely but has such a loud tick that its too annoying to wear! Have even been asked to take it off in the cinema!!!! This watch is a great size, not too big, not too small. The gold on black is smart and minimalist. Just what I need for playing sport. Easy to read dial and no need to worry about sweat or suncream. 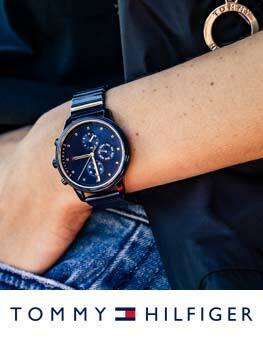 Smart enough to wear as an everyday watch too. While I love the look of the watch I was disappointed to find the face scuffed after only one day of wearing it.Ive had my old swatch for years and it still looks like new but I wanted a bigger dial hence the reason for my purchase but this is not fit for everyday wear IMO and its appearance is now spoiled. It had to be done !! 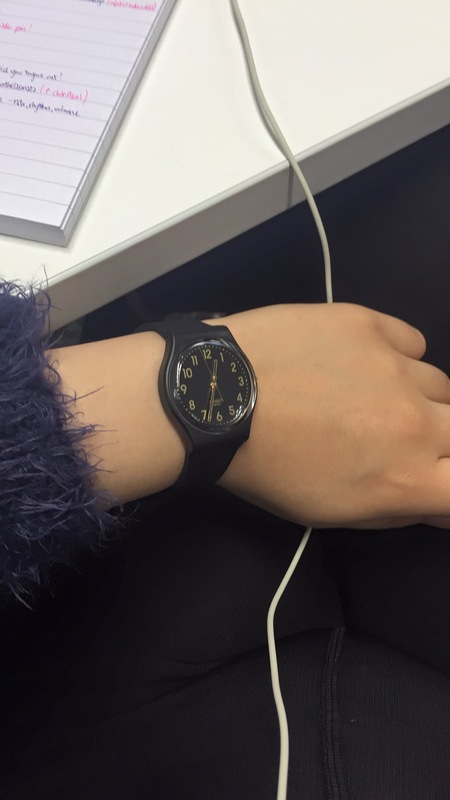 I had a black face Swatch Watch in the 80s and I loved it. I also bought a multi coloured one with a Ski Pass built in. So Im on my third and smile when I look at my watch as it reminds me of my younger years !!! I wish it could Time Travel me right back there. Good quality watch. Robust but elegant and fits the look we were after. The watch was an excellent purchase and exactly what my daughter wanted. Its lightweight, easy to read and looks good both with her school cloths and for nights out. 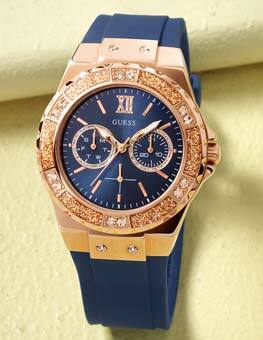 A super watch, very stylish and very comfortable to wear. The numbers are clear and easy to read. All in all an excellent buy. bought this for a gift I liked the look of this watch it lookes veary stlylish for every day wear. 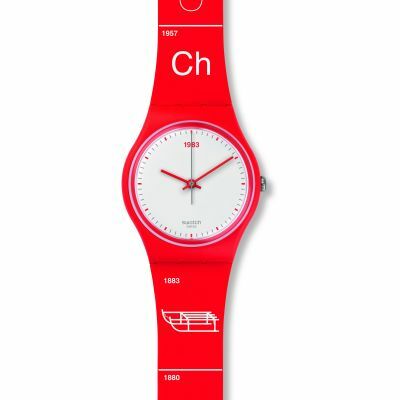 very pleased with my swatch watch,wish i had gone for this one earlier. Brilliant. Just what you need for an everyday basis. First time I have used you guys, and it was easy to order, and the product came when it said it would. Very happy customer and would definitely use again. 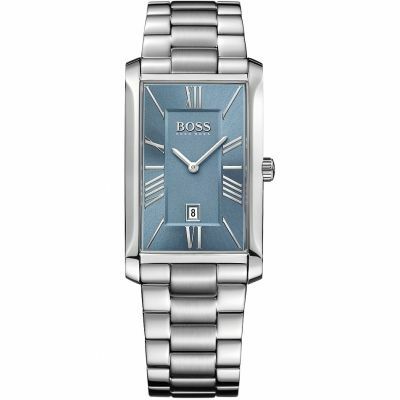 A classy, stylish watch which is easy to read and goes well with anything I wear. 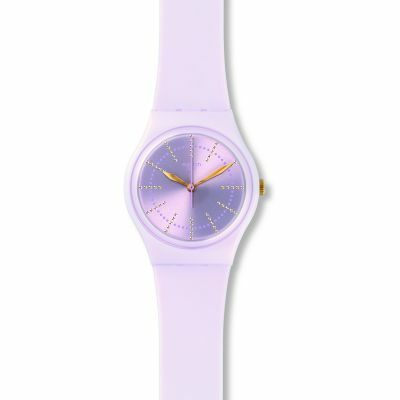 The watch is stylish, if a bit large for a ladys watch. 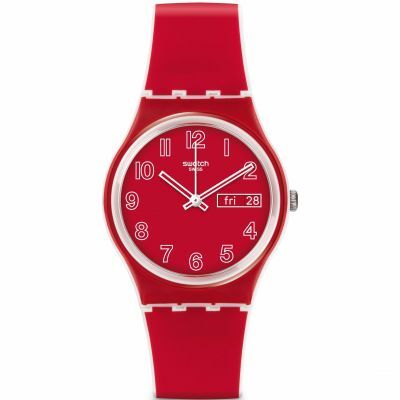 In fact, Swatch have it as a gents watch on their website, but thats not an issue. 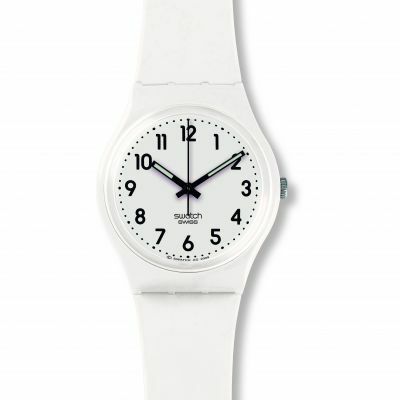 The strap is softer and has a nicer feel than the hard plastic of my old Swatch. The matt gold numbers are easy to read. The whole thing makes me think of the old Lotus JPS Formula 1cars. 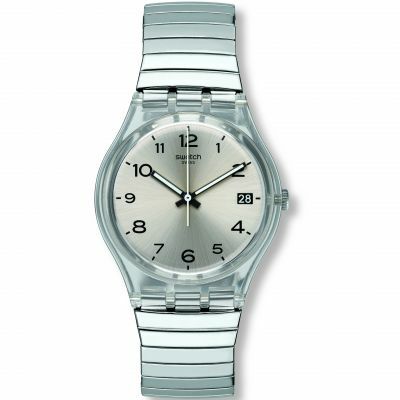 Considering that Swatch watches were priced at £25 30 years ago, this watch is excellent value for money. 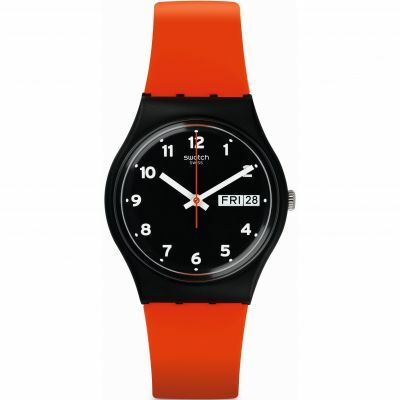 Bought the Swatch Black Gold Tag watch for my Mums birthday. 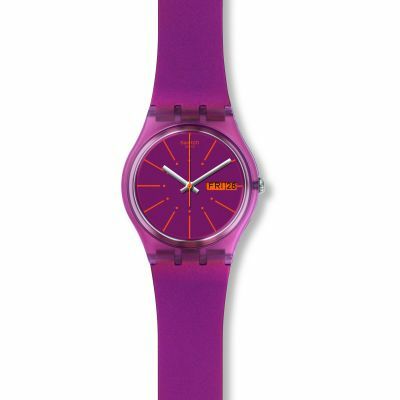 She wanted something that wouldnt clash with her activity watch. 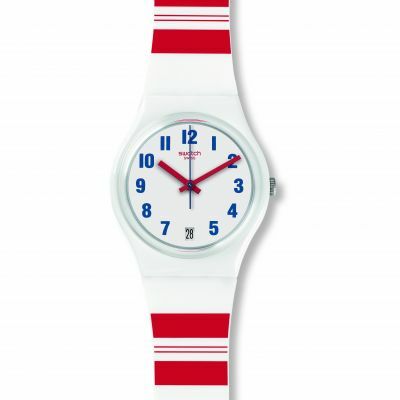 I ordered this classic style watch with rubber bracelet which matches brilliantly. My Mum loves it! 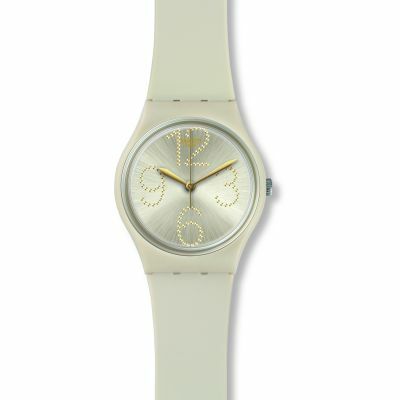 lovely watch bought for a birthday present for my neice, flexible comfortable strap and tasteful gold detail to face. 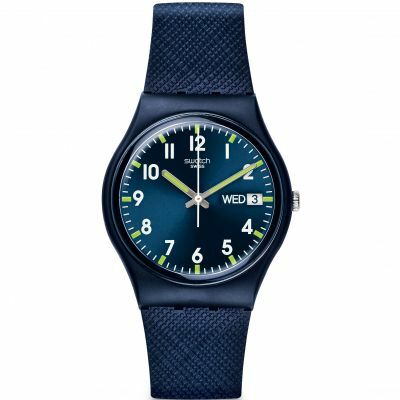 This watch is exactly as it looks in the picture ..... classic swatch, smart and functional, suits smart as well as casual attire ....beautiful in its simplicity, cannot praise it enough , also very comfortable to wear not to mention light . 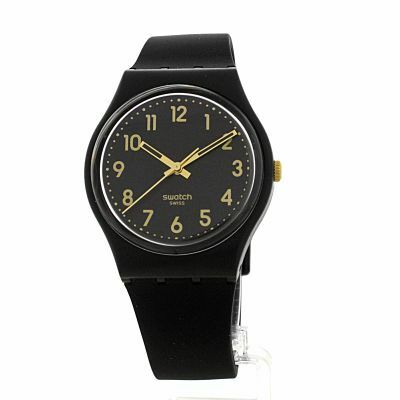 The watch is gorgeous, great value for money and really stylish - the gold on black is classic and will go with anything. Bought this as a Christmas present for my sister - will be ordering one for myself in the New Year! The gold numerals against the black look really good. 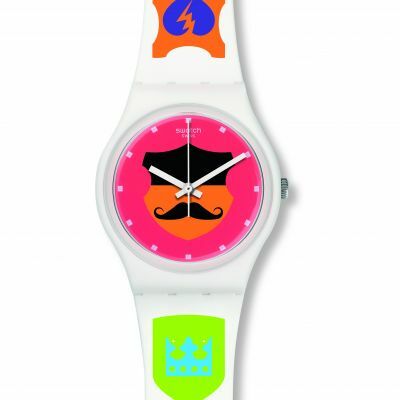 This is a small faced watch perfect for females. A simple but elegant design that goes with any outfit. 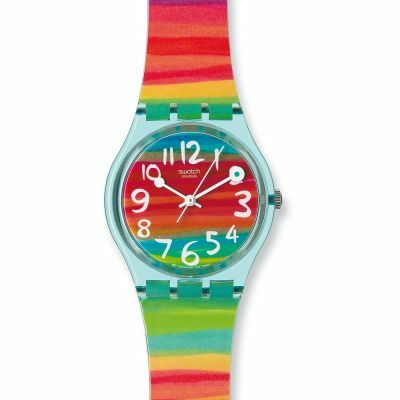 daughter she has problems wearing metal back watches so swatch are ideal. Really fast delivery.Will use company again. I bought this a present, on the basis of very specific hints- so I know the recipient will like it! 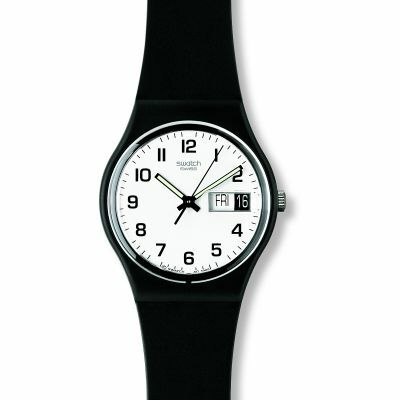 The watch is way better quality than you would think from the price- as is always the case with Swatch. This is meant to be a cheap holiday watch but I reckon it will see far more use. Taste is subjective but personally I think less is more and this design is ideal- the black is consistent and the gold bits are just enough to give it character and style. The price was far and away the cheapest I could find and the watch arrived two days after delivery. Total satisfaction and highly recommended. I am delighted with the look and feel, as it looks like it should be much more expensive. 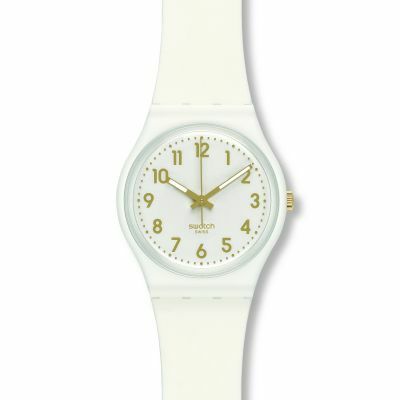 Its clean, clear and neat on the wrist. The silicon material for the strap is particularly good, I forget Im wearing it sometimes as it is so light and comfortable. 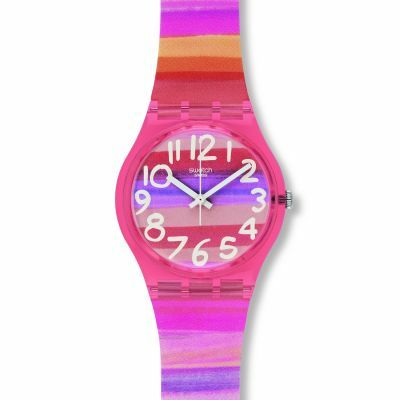 I was looking for a day-to-day watch just to wear with everything, and I got way more than I was looking for. Its a really decent watch. If youre looking for a light, attractive watch Id definitely, 100% recommend the black Swatch Golden Tac. 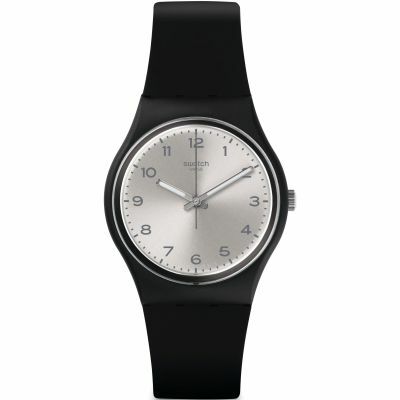 Ordered this black watch for myself. Think the watch looks nice but thought it was a bit noisy. I was very impressed with this watch. I have a major skin allergy which means that I cant wear anything metal and the watches I have had in the past have always looked cheap. 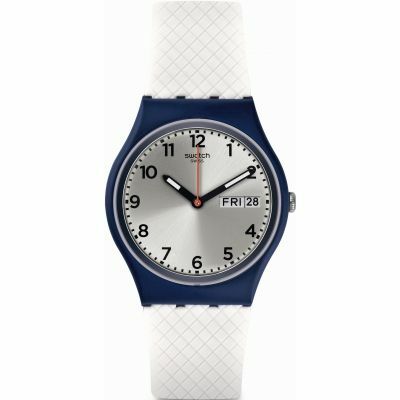 This watch looks stylish and is so comfortable to wear I intend getting another in a different colour - really good value for money! 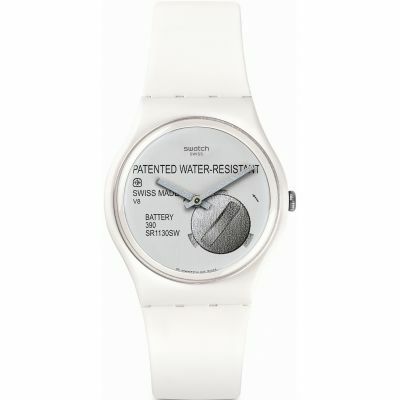 Very smart Swatch Glden Tac watch easy to read watch face just exactley what I wanted. 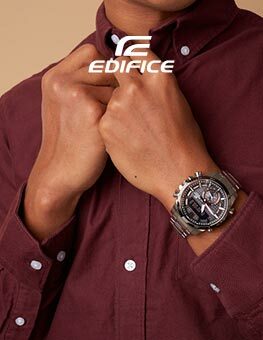 it is a good watch of extremely high quality. Comes witj 2 year guarantee which is unusually long. Simple design black rubber strap and gold clock face. 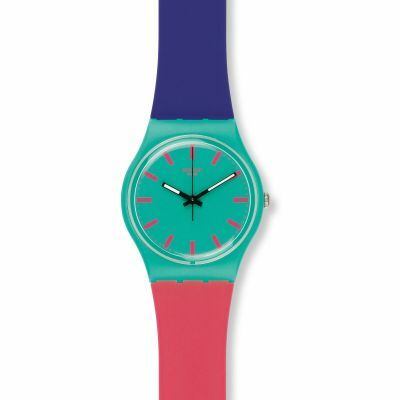 I like it because its easy to tell the time and can go with many outfits. 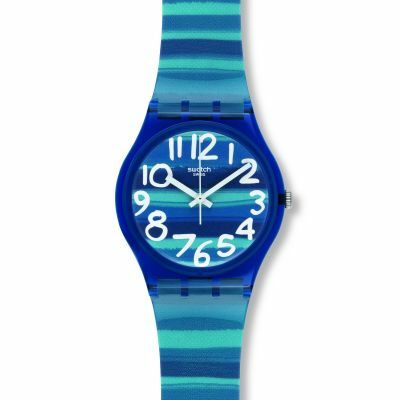 Have a lot of respect for swatch brand. Just love the watch. Ive had 2 of the smaller Swatch watches in the past, black/white, but the larger black & gold is amazing! Has a second hand, which I need for my work. Just love it. 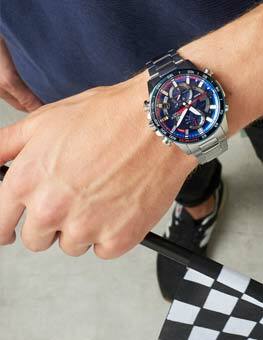 Smashing watch for the money, great for everyday use. 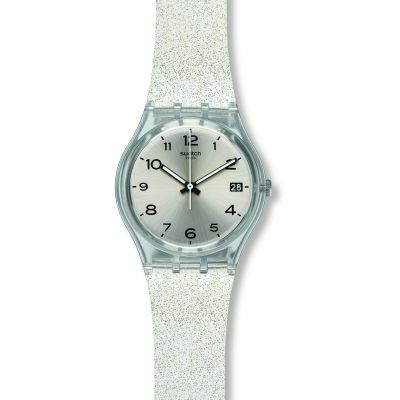 I have a bit of a metal allergy, and this is not causing any problems, no itching or bumping Thank You Swatch! It looks good enough for a casual night out with the Gold on Black Face, very easy to read, good sized numbers and hands - all in all a very good purchase. My partner used to have a silmilar swatch watch but it ran out of battery and sadly the battery is early the same price as a new watch so this is why I purchased it. Upon opening we loved the new feel of the watch it isnt the cheap plastic anymore its much better quality than her last one. I loved the gold detailing in the hands and numbers, it makes it look a little bit classier aswell. The size is perfect as I was worried it would be a bit big she has fairly slim wrists but its fine fits nice and snug.